The murmurs of a resurgence of Bengali intelligentsia are getting louder on the Capital's Raisina Hill. So, when Tarun Das, ex-chief mentor of the Confederation of Indian Industry, and Shekhar Datta, former managing director of Crompton Greaves, invited a few influential Bengali bhadraloks for a laugh and a loaf last Saturday at CII's Jor Bagh address, everyone readily accepted. So there they were, a motley crowd of 25, from Revenue Secretary Sunil Mitra, Divestment Secretary Sumit Bose, Agriculture Secretary Prabeer Kumar Basu, Chemicals Secretary Bijoy Chatterjee to the government's Chief Statistician Pronab Sen and his elder brother and Planning Commission member Abhijit Sen, hobnobbing with CII's senior office-bearers and a select few from India Inc. Image: Raisina Hill. Inset, Tarun Das. A perfect way to unwind over drinks, finger foods and a lavish spread, which coincidentally was also served by another Bengali: Anjan Chatterjee of Oh Calcutta! And, if there is any truth to the saying that a best way to enter a (Bengali) man's heart is through his stomach, then surely nothing was left to chance. The menu, truly la affaire' gastronomique Bengali style: From chingri malaikari (prawns in coconut gravy) to railway mutton (mutton curry) to luchi (puris). The question is why all of a sudden the Capital's influential Bengalis have become proactive. "Why not?" asks a senior bureaucrat who attended the do. "Consider it to be like a Bijoya (Dussehra) meeting, just an informal collective, a forum. It's common in Delhi among other communities from UP, Kerala and Bihar. So, why can't we also have one?" Touche. 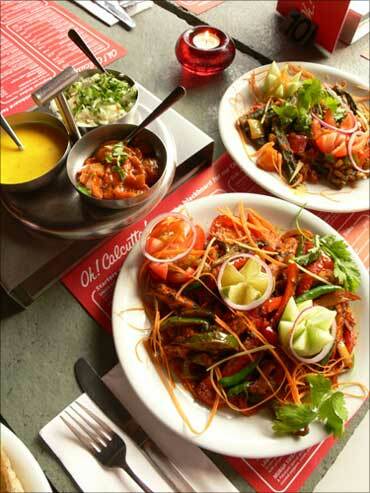 Image: An elaborate spread by Oh Calcutta. "It was a strictly private, social get together with only a group of friends who just happen to be Bengalis. That's about it. 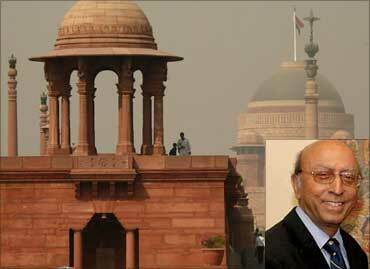 There's no parochialism involved," Dutta told Business Standard . Tarun Das, incidentally on a trip to Kolkata, could not be contacted. The idea is not to form a Bengali lobby group but simply to get to know each other better and the best way to do that is outside office in a much more casual fashion, over a hearty meal of course! After all, a community that works together should also stay together and bond together as well! "Remember, the civil service map in the 50s was full of Bengalis," quipped another attendee from the finance ministry. "Over time, we have moved on to do other things. We've had the odd influential officer like Pulok Chatterjee in the PMO. But now, there are more of us, and who wouldn't mind a get together like this, especially if Tarun Das happens to be the organiser," he said. 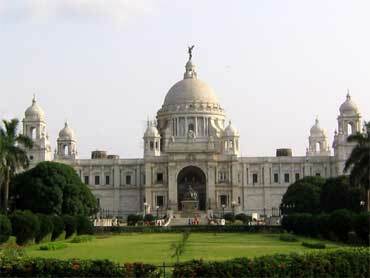 Image: Victoria Memorial in Kolkata. Both Das and Dutta are proud Bengalis too. And like them, the guest list had people who were achievers on a national level. Das has always been passionate when it comes to revival of industry in the Left bastion, from organising the CII Partnership Summitt in the early 90's to reviving Haldia Petrochemicals, he has gone beyond politics and ideologies to attract investments. And thanks to him and CII, the Aspen Institute - a non-profit think tank - opened its Kolkata chapter recently. While it is not clear when they would meet next, some of the attendees are hoping it would not be a one-off affair. 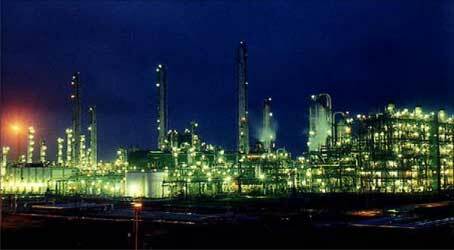 Image: Haldia Petrochemicals plant at night.